In the process Wickremesinghe would have skillfully achieved some of the changes that he would have personally liked without getting the blame for it. It also provided him an opportunity to get his close confidante and one time cabinet minister Tilak Marapone back to the fold. The week began with the long awaited and much speculated cabinet reshuffle becoming a political reality. Though there were changes in practically nine ministries, the most far reaching change among them was the exchange of finance and foreign portfolios between Ravi Karunanayake and Mangala Samaraweera. This was a change much anticipated as that was one of the key demands of those who were agitating for a reshuffle and probably the whole idea of a revision would have been to effect that particular change. Despite much reluctance at the beginning, both ministers finally agreed to the change and that was a major win for the government as the prolonged issue could have developed into a political crisis, a situation which a government embroiled in many issues could ill afford to face. It was more than face saving for President Maithripala Sirisena as he had been under pressure for quite some time while the real difficulty was that he had to agree with Prime Minister Ranil Wickremesinghe for any change. His arch rivals in the Joint Opposition who are challenging his leadership of the SLFP would have been the happiest if he could not reshuffle the cabinet which he technically heads. Thus, for President Sirisena it was an opportunity to reassert his position as the executive president. On one hand it is a consensus government and avoiding major disagreements is essential for its continuance, particularly because the initial two year agreement reached between the two parties will be up for renewal by August this year. On the other hand lack of such agreement would have developed into a constitutional crisis brining the whole idea of consensus government into question. For Prime Minister Ranil Wickremesinghe it would certainly have been the end of a long headache. There was opposition for a change from some of the strong sections of his party, while some of the backbenchers were asking for bigger responsibilities and more opportunities for them to work for the people. Since it was President Sirisena who insisted on the reshuffle Wickremesinghe could escape from much of the blame that would have come from his own party men who were not happy with the change. Some of the young and up-and-coming MPs who had worked hard to bring this government into power made rather hard hitting public statements expressing dissatisfaction over positions that they currently hold. Their cries would have been in expectation of some favourable changes through the impending reshuffle and the outcome was such that they will have to remain unhappy. Overall, the very fact that the reshuffle happened as expected augurs well for the government as it averted a situation of uncertainty, although the critics, mainly from the Joint opposition, have belittled it as a cosmetic change to hoodwink the people. The long delay and the difficulty of the reshuffle was ample proof of the problems that could arise in a government run by two political parties. However, at the same time the ability of the two parties to resolve the issues amicably is also the proof that two parties can work together in a government. This is a good political lesson for the country which is trying out a consensus government for the first time in its history. This experience can be quite useful in the current constitutional debate since the idea of consensus government has been discussed as an effective way of resolving some of the inherent issues in a multi-racial country. With this success, now they could develop the consensus system into a more viable option. Despite reservations on some aspects of the reshuffle, the major changes in the cabinet particularly that of the finance portfolio has been well received in most quarters and that will place the government on a stronger footing in the face of three provincial council elections that are likely to be held any time after September. 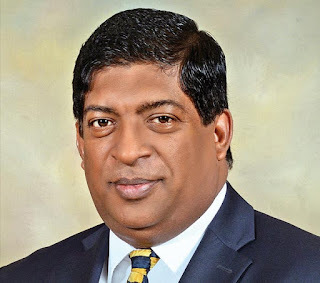 Meanwhile, the reshuffle has also led to a new issue with reports to the effect that former finance minister Ravi Karunanayake has asked that some of the institutions like National Lotteries Board, SriLankan Airline and Mahapola Scholarships Fund be placed under his new ministry. To make things even more complicated, there was also a media story to the effect that a similar request has been made by former media minister Gayantha Karunathilaka that Government Printing Department, National Film Corporation and State Printing Corporation be placed under his new ministry. However, Karunathilaka has subsequently denied it leading to the suspicion whether the story was planted by some interested parties aiming to put a stop to the ridiculous idea of dragging institutions out of the relevant ministries when the ministers change. In every organized democracy cabinet ministers are allocated their subjects according to some rational basis. There are established norms in deciding the institutions coming under various ministries and the foremost consideration should be what is good for the country and not the preferences of individual ministers. Whether such requests are accommodated or not will be seen only when the names of the institutions coming under these new ministries are gazetted and thus the very process of gazetting could be delayed by a few weeks due to this controversy. However, since the relevant ministers have already assumed duties it will be too late for them to kick up a row even if the additional institutions are not gazzetted under their portfolios. Then the reshuffle has also given some new opportunities to remove some of the obstacles placed on the development plan of the government. It is well known that Port Minister Arjuna Ranatunga was opposed to certain clauses in the agreements that are to be signed with China in the Hambantota port development project. Ranatunga’s hardline position on this issue had delayed signing of this agreement which is a priority in the economic agenda of the government. The new Port Minister Mahinda Samarasinghe being more flexible is likely to be helpful for the government to resolve this issue more diplomatically. There is a similar situation in petroleum ministry as well. The proposed development of the Trincomallee oil tank farm with India is another project that could have controversial aspects and now the new Petroleum Minister Ranatunga could perhaps face a similar issue. But this time it’s going to be with India with whom he has better relations and the whole thing will depend on the terms of the agreement which are still not clear. Another area where the reshuffle will have a direct impact is the Ministry of Public Enterprise Development coming under Minister Kabir Hashim. Hashim had issues with some of the directors and chairmen of state enterprises given to him for reform who had been earlier appointed by Finance Minister Karunanayake under the 100 day programme. Most of them, under Karunanayake’s instructions, refused to resign paving the way for Hashim’s nominees. This controversy had stifled the reform of some of the state enterprises although a separate ministry has been created for the purpose. 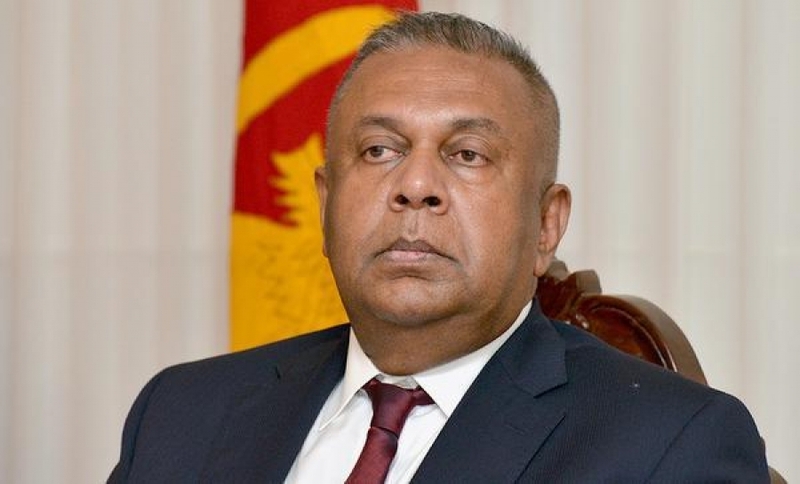 With Mangala Samaraweera as the finance minister there could be a change of scenario and that could expedite the reform process of the state enterprises. Thus the cabinet reshuffle, though ridiculed by the critics as a mere eyewash, will place the government on a stronger wicket while also removing some of the obstacles placed on its path towards faster growth and development.